Organize & identify your parking with easy-to-pop-in parking space plates. Number your spots for paid parking or inventory, mark fire lanes, designate handicapped spaces, mark visitor or reserved spaces. Highly visible. PLATES® are super easy to install. Just line up the slots and locking tabs with the grooves and insert into the PRO PLUS grid. Then push the PLATE into the grid cell until it locks. That’s it. And you don’t have to come back next year to re-mark. Durable, long lasting, weather resistant and highly visible. Compatible with the PRO PLUS. PLATES® lock into TRUEGRID PRO PLUS to provide maintenance-free space markers. No more painting or repainting. Meet code by designated spaces. Call out Reserved and Visitor parking. Personalized printed PLATES. Display your brand. Now you can number your permeable paid parking lot. Inventory your assets or autos by numbering your parking storage area. That land you just saved by using TRUEGRID and eliminating your detention pond – visibly translates in added numbers of parking spaces. Clearly identify Fire Lane or No Parking zones. 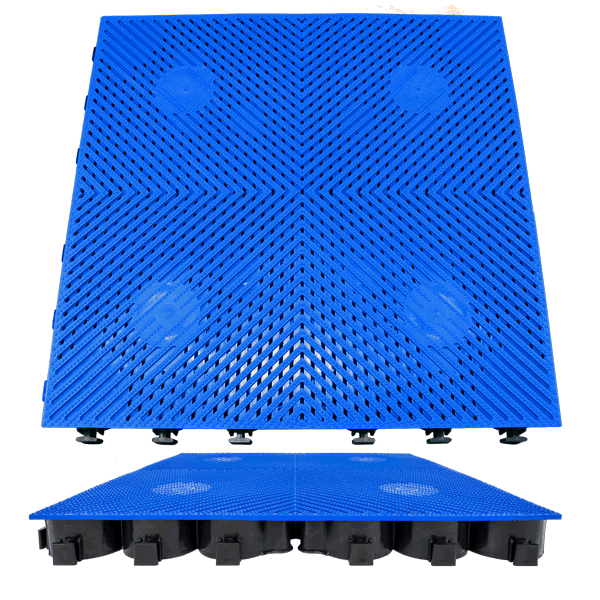 Combine TRUEGRID PLATES with REFLECTOR SuperSpots for maximum safety and security. SuperSpots solve issues common with typical striping methods that tend to fade over time. Long-lasting and durable, SuperSpots are maintenance-free and are easy to install. 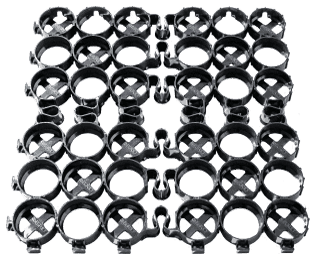 Just pop one in into the TRUEGRID PRO PLUS grid and create custom shapes and delineation. Maximize safety, efficiency and utilization of your permeable parking. One and done. Maintenance free.